Tati Sofa Table is available in two sizes, which slide together beautifully. They are available as a set or as separates, but sold in individually. 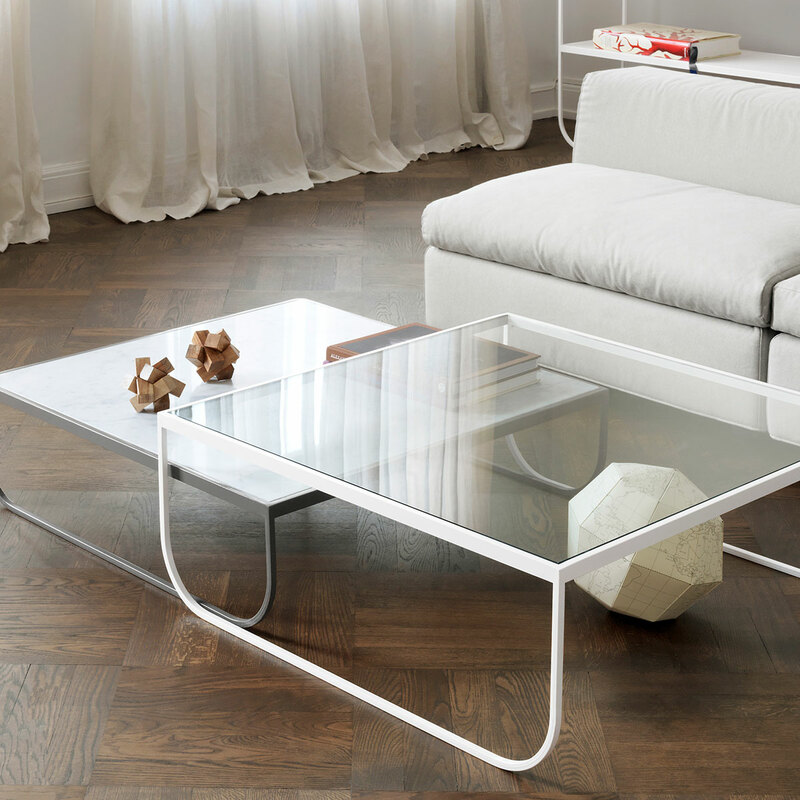 The frame is made of lacquered metal and the table top is available in lacquered glass or Carrara marble.